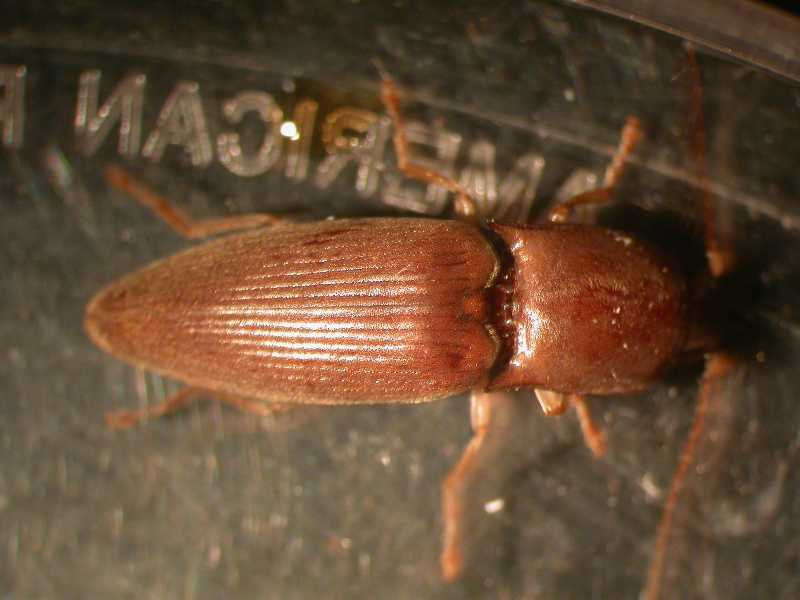 Wireworms are the larvae of click beetles. 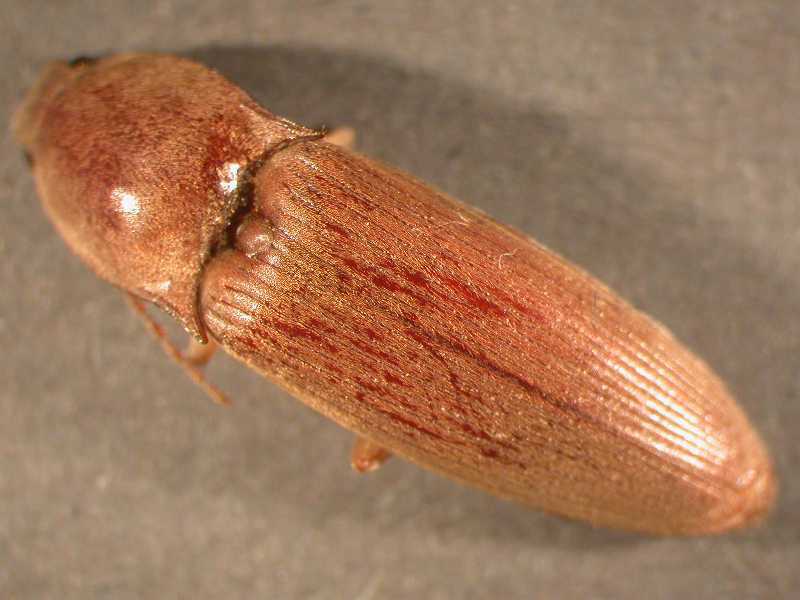 They are found throughout the United States, and are especially common on land that is poorly drained or has recently been in sod. 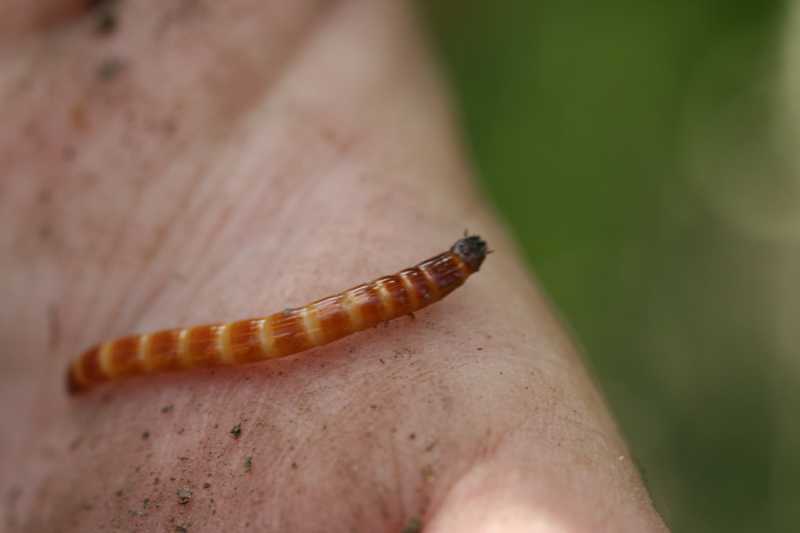 Wireworms are 1/3 to 1 1/2" long, dark brown to yellowish, jointed, hard shelled and cylindrical. 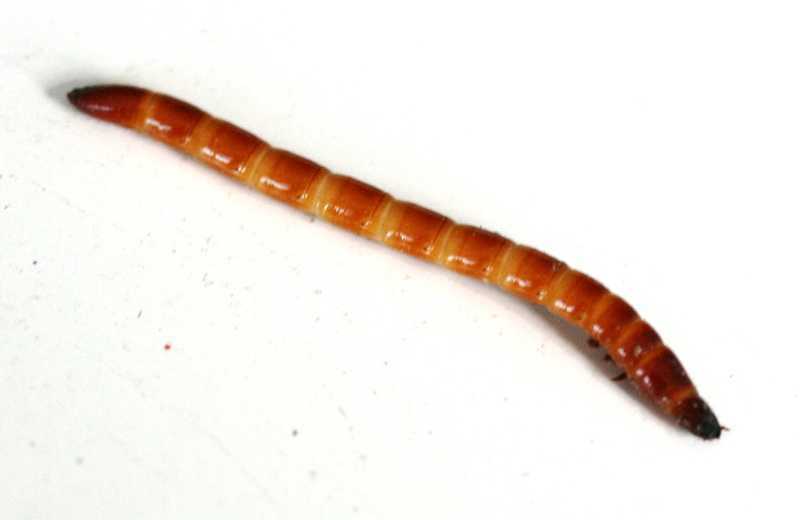 Unlike millipedes, with their many pairs of legs, wireworms have only 3 pairs, located directly behind the head. 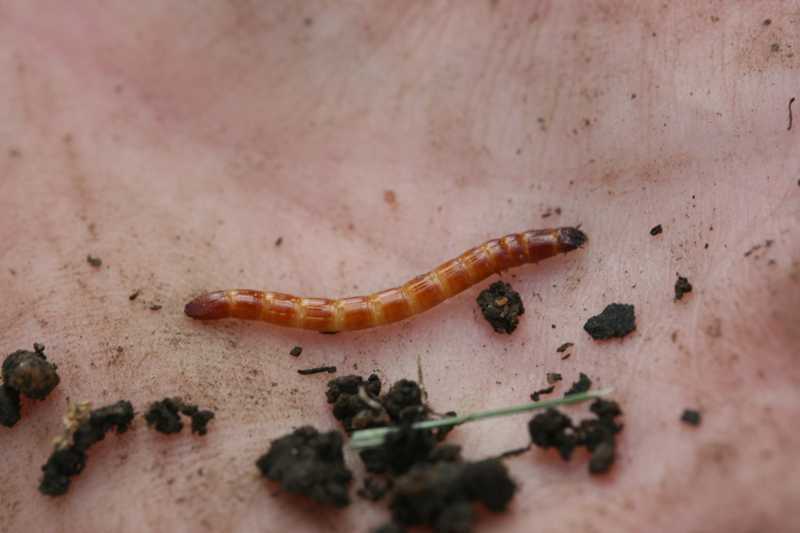 Wireworms chew on underground stems, roots, seeds and tubers of a wide variety of plants, causing them to wilt and die. They will feed on most garden fruits and vegetables, but prefer beets, beans (snap), carrots, corn, lettuce, muskmelons, onions, peas, potatoes, strawberries, and sweet potatoes. The best way to control wireworms is with traps fashioned from pieces of potato. Spear the potato pieces with sticks, and bury them 2 to 4 inches deep at 3 to 10 foot intervals, leaving a portion of the stick above ground. The wireworms will bury into the potato pieces to feed. After one week, dig up the traps and destroy them, along with the unsuspecting wireworms that are feeding inside. For long term control, plant a cover crop such as alfalfa or clover; this is particularly effective for corn crops. 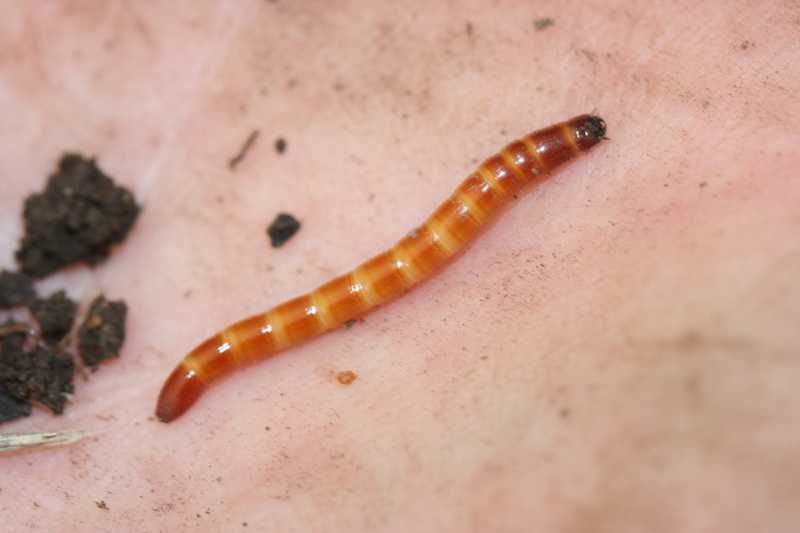 Since wireworms overwinter in soil, the best way to prevent future problems is to reduce their numbers with a thorough fall garden cleanup. In fall, remove all old plants and overgrown weeds as soon as you finish harvesting each crop, eventually leaving the soil completely bare. Cultivate the soil thoroughly to a depth of 6 to 8 inches with a hand tool or a rotary tiller. About 2 to 3 weeks later, give the garden a shallow cultivation to a depth of about 2 inches with a rotary tiller or a garden rake. 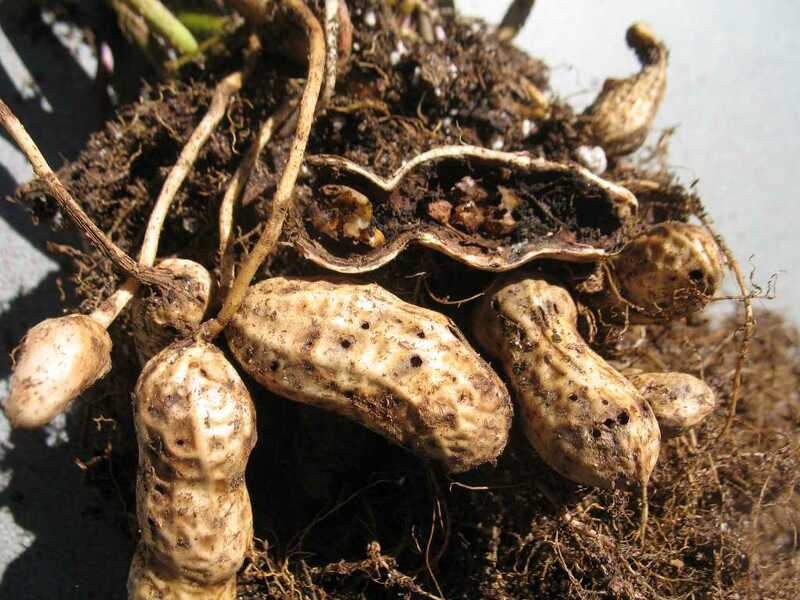 Then, plant your winter cover crop or lay down 4 to 6 inches of winter mulch. About 2 weeks before planting in early spring, give the garden one more shallow cultivation. Give the soil one final shallow cultivation upon planting. 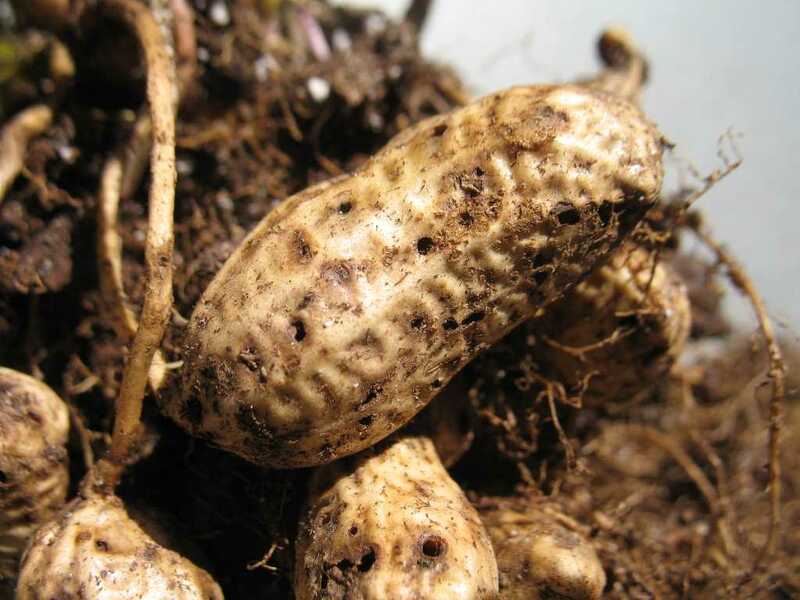 Holes eaten into peanuts (Arachis) while underground by wireworms (Coleoptera) and seeds consumed.